All our liners have a anti slip centre with lipped edges. The ideal car accessory that is a cheaper option to the dealer. 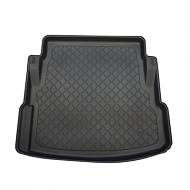 Made from a flexible plastic that is very dhard wearing keeping your car interior protected.